More than 7,400 terrorist attacks worldwide between 1970 and 2014 targeted some form of transportation, including airports and aircraft, representing 5.3 percent of all terrorist attacks. More than 460 targets of terrorist attacks between 1970 and 2014 were airports, representing 6.4 percent of all transportation targets. More than 130 targets of terrorist attacks between 1970 and 2014 were subway systems, representing 1.9 percent of all attacks on transportation targets. In the aftermath of the 22 March 2016 attacks in Brussels, Belgium, START compiled statistics from the Global Terrorism Database related to terrorist attacks on transportation hubs. 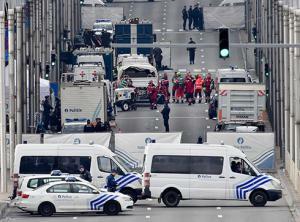 The Brussels terrorists carried out coordinated attacks targeting an airport and a subway station with explosives. Two of the attacks were reportedly carried out by suicide bombers. More than 30 people were killed, and more than 200 people were injured in both locations (view the full report, Terrorism in Belgium and Western Europe; Attacks against Transportation Targets; Coordinated Terrorist Attacks).